Takeaways are a commonplace on every high street, serving anything from soup and sandwiches, fish and chips, to exotic meals from all corners of the world. Takeaways can be a good way for entrepreneurs to showcase their love for certain cuisines, but how do you go about starting such an endeavour? Diving head-first into a business such as owning a takeaway can be tricky unless you’ve done your research, so here are a few handy hints of things to bear in mind when first starting out. What food do I want to serve? How many other similar takeaways are in the area already? How long have they been established in the area for? How much do they charge for what they serve? What establishments are within the area – including universities? 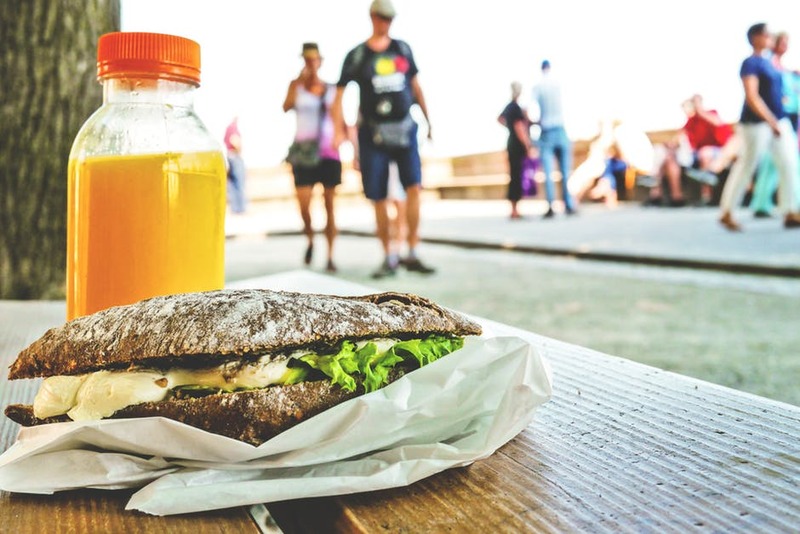 By taking the time to research the area, run focus groups to find out the tastes of the locals, and look into how much your competitors are charging for similar products, you can give yourself a good start in the process of owning your own takeaway. You can never be too prepared when it comes to working out what needs to go into the takeaway business, and it can be expensive if you haven’t got a handle on things. Drawing up a mock balance sheet including rental rates, the cost of equipment and supplies, as well as essential extras such as takeaway insurance, staff wages, and employers’ liability cover to help protect you against claims brought against you by staff who suffer an injury while working for you. How much can you afford right now? – whether you’ve got savings or require a bank loan, work out how much you’ve got in the pot. Finance options such as grants or even franchising opportunities can be a useful way of getting onto the ladder, or you could also consider starting with a food stall to test your products in small quantities to test the market and figure out your customers’ tastes. What can you offer your customers – in regards to product, why is yours going to be better than your competitors? Where do you want to base yourself? – location is key when it comes to setting up a takeaway; you want to pitch yourself as close to a catchment area as you can to ensure frequent footfall into your premises. How much will rent be? – research several vacant pitches and shops and make a note of monthly rental rates, including them as part of your predicted balance sheet. How much do you intend to spend on equipment? – be sure to price up cooking equipment such as fryers and grill tops, refrigeration units for keeping food fresh and safe in between orders, as well as the utilities for powering your equipment. What Do I Want To Cook? Deciding on a cuisine can depend entirely on not only your taste but those of your audience as well, for what might be delicious for you might not sell well due to lack of interest, so doing some taste testing and focus groups can help you to determine this and help you going forward. Also, look into local suppliers and where you might source the ingredients for your menu from. Local producers will always be looking for opportunities to get their product to market, including farms and vegetable growers. By striking a rapport with local suppliers, you can help to promote local produce and give customers confidence in the quality of your product. Hygiene is vital when it comes to any food establishment, so making sure your premises are clean can help to keep your food fresh and keep your customers safe. Be wary of allergies and make sure that certain food groups are kept separate to reduce the risk of cross-contamination and the risk of allergic reactions. You’ll have to apply for and display a Food Hygiene Rating certificate on your premises following a visit from a health inspector from the Food Standards Agency. Ensuring that you put in the correct steps to keep food fresh, store your ingredients safely, dispose of waste and keep your new premises free of vermin can earn you a top rating and lead to an excellent local rapport. Whether you want to serve baked potatoes or baltis, ensuring you have the relevant insurance before you start out is a crucial part of the process. Specialist takeaway insurance is available and helps to cover your premises, your equipment and your stock from damage from the elements and fire. You can also apply for a business insurance so that if anything goes wrong, you know you’re in good hands – this is especially useful if you are a franchisor. Your staff are essential in running the shop, so take your time to recruit the right people – from your chefs to your front-of-house staff – ensure they are thoroughly trained and have the relevant food hygiene qualifications needed. If you’re looking to employ staff to help out your new venture, ensure you are covered in the event of an incident causing them injury while at work. Employers’ liability insurance will help to cover these costs, and it can also be worth taking out some public liability insurance as well to cover you should a customer sustain a personal injury on your premises or bring a claim of illness caused by food poisoning against you. For a flagship store, sometimes less can be more, so try focusing on a certain number of products – maybe you have a speciality you wish to try out first – and gradually introduce new foods over time. Testing out recipes in small amounts can help you to gauge interest in particular foods and give you an indication of your customer’s preferred tastes, so don’t be afraid to try new ideas now and then. Starting a takeaway business can be a daunting prospect, but by putting in plenty of research, getting your balance sheet right and making sure you’ve everything in place before you open can stand you in good stead and help your business to flourish.